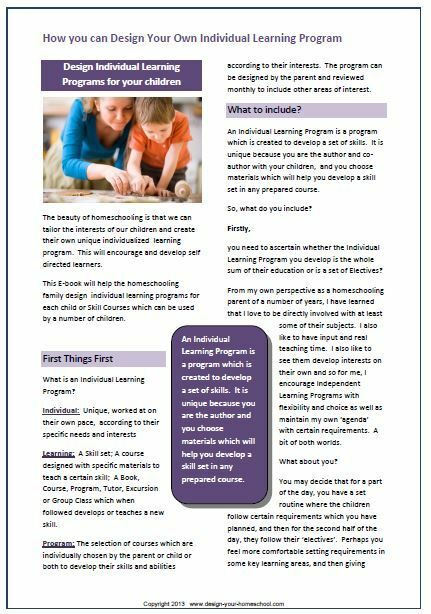 Individualized Learning Programs - Setting up Independent Programs and create a tailor made curriculum for your child. •Reading, Writing, Speaking, Thinking Skills Chart and suitable Courses to incorporate these skills. This latest E-book helps you to develop Independent Learning Programs in your homeschool. I encourage you to design your own and be creative! Enjoy learning with your children.